Get a High Quality Leather Product for Your German Shepherd! We know that you love your amazing German Shepherd and want him to have all the best things in the world. That's why you should not fall for cheap leather products that will fall apart after a couple of days. 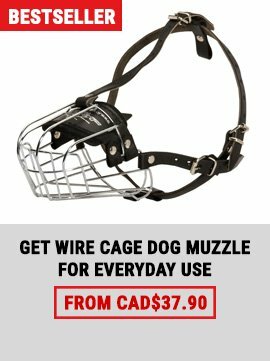 Low quality dog collars are not only a bummer, but can also be dangerous if they tear in the middle of a road or during training. This collar will not disappoint you. It is made from great-looking genuine leather with additional stitching for better durability. 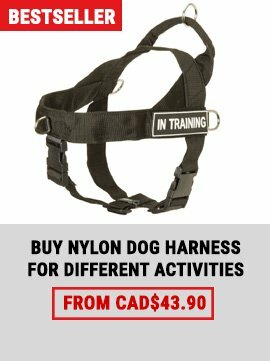 The collar can be used in training. 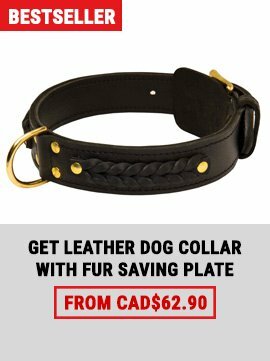 We decorate it with gorgeous leather braids and brass studs so that your dog looks awesome! 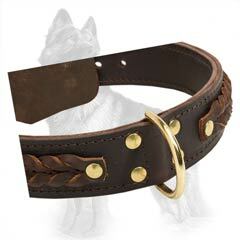 No more dull simple collars - get this beautiful leather collar and impress your friends! Get your Shepherd a treat that he can wear with pride. Order this collar!